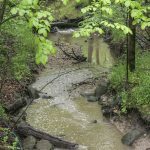 Lake Michigan’s western shore — from Winnetka, Ill. to Milwaukee and beyond — is home to more than 50 ancient and unique places called ravines. These tree-covered slopes are dynamic homes for native birch trees, songbirds, butterflies, wildflowers and year-round foliage. They add scenic vistas to our neighborhoods and privacy to backyards. They are the foundation of some of our most beautiful parks and gateways to our outstanding Lake Michigan beaches. 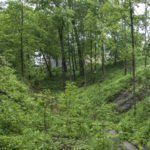 Our ravines are an integral part of our region’s character. But our ravines are also eroding. 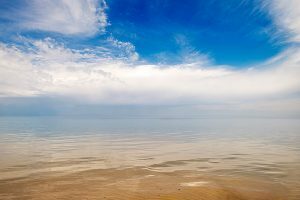 Without thoughtful action, they could become dangerous, muddy ditches that undermine roads and bridges, damage sewer lines, erode property and increase pollution in Lake Michigan. Ravines are best protected when communities come together to care for them. 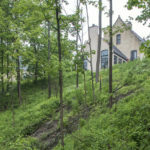 We help ravine homeowners, technical experts and elected officials come together to revitalize their ravines. Want to bring a ravines workshop to your community? Contact Ethan Brown.